Links for Life | Service. Support. Survival. Your Donations Make A Huge Impact in Our Community! 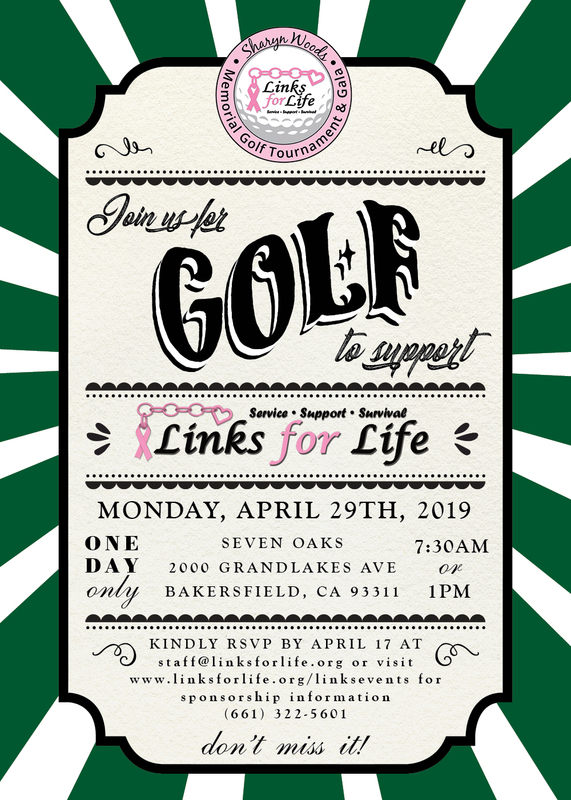 Links for Life is a nonprofit Breast Cancer support and services organization located in Bakersfield, California and the greater Kern County area. To provide an organization to benefit persons and families affected by breast cancer. 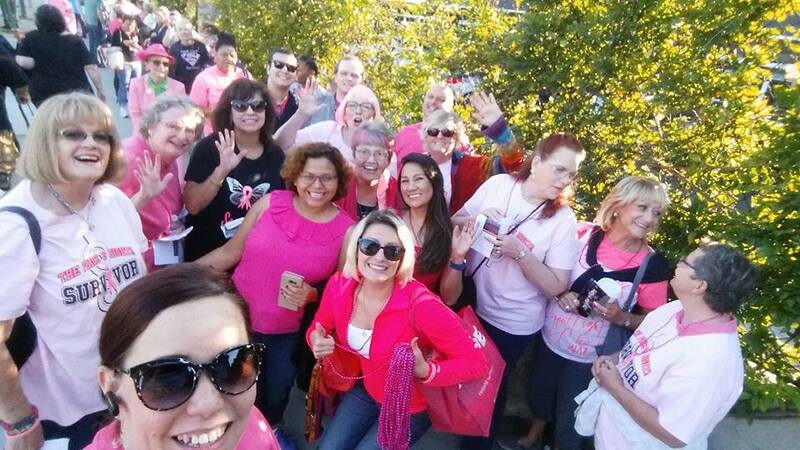 To challenge each woman in Kern County to be aware of her breast health and promote support for those affected. To educate the general public about breast health services for women coping with cancer. 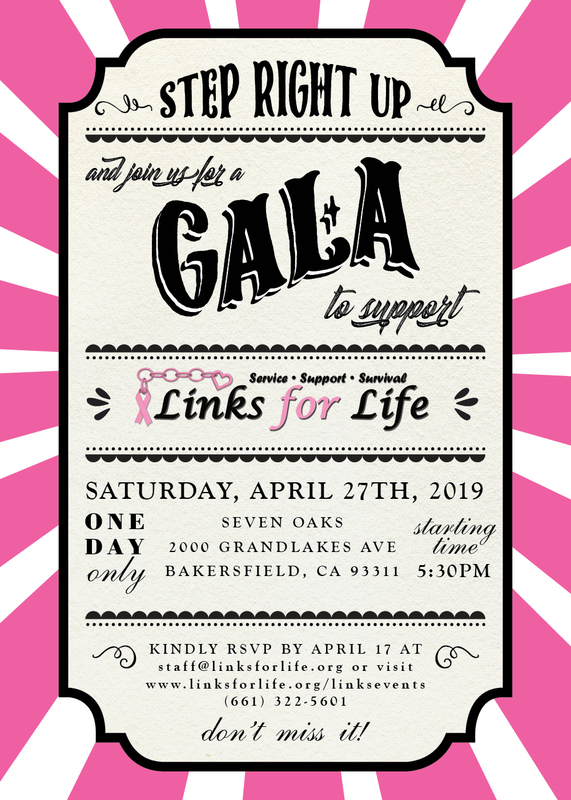 Who is excited for Gala on April 27? Look for our on-line auction catalog next week!